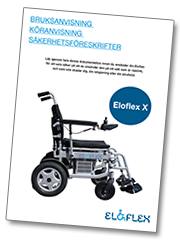 Model X, a brand new model for senior users, is the latest addition to our Eloflex family. 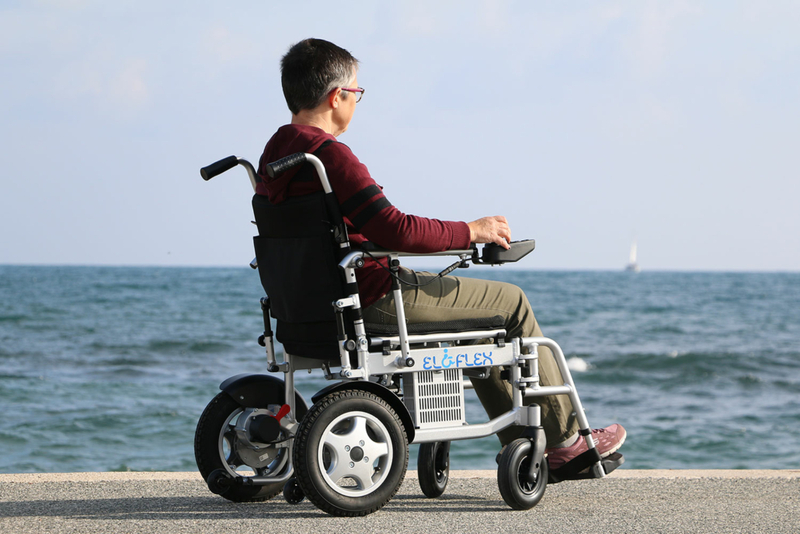 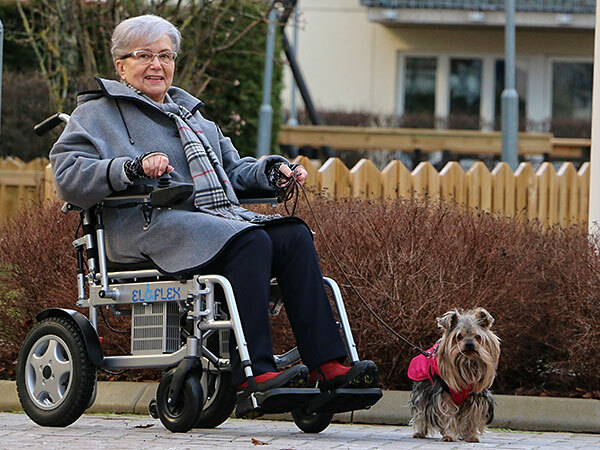 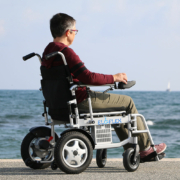 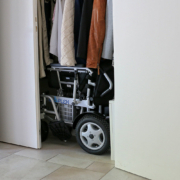 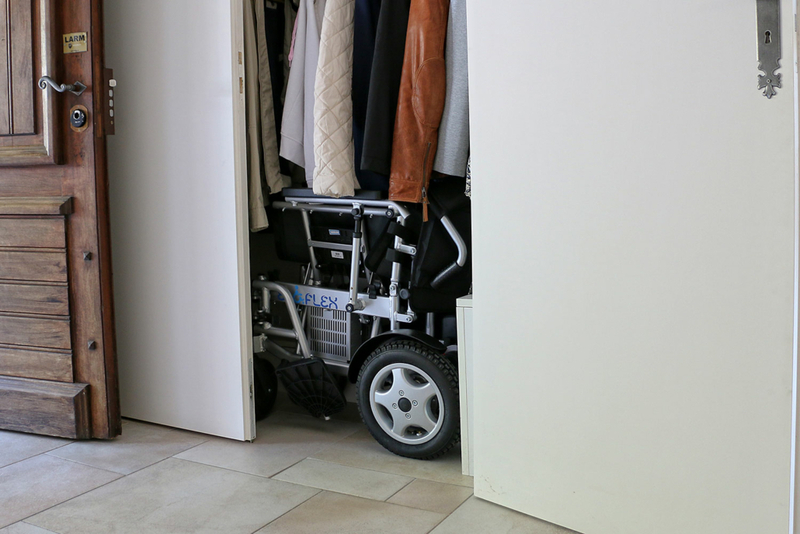 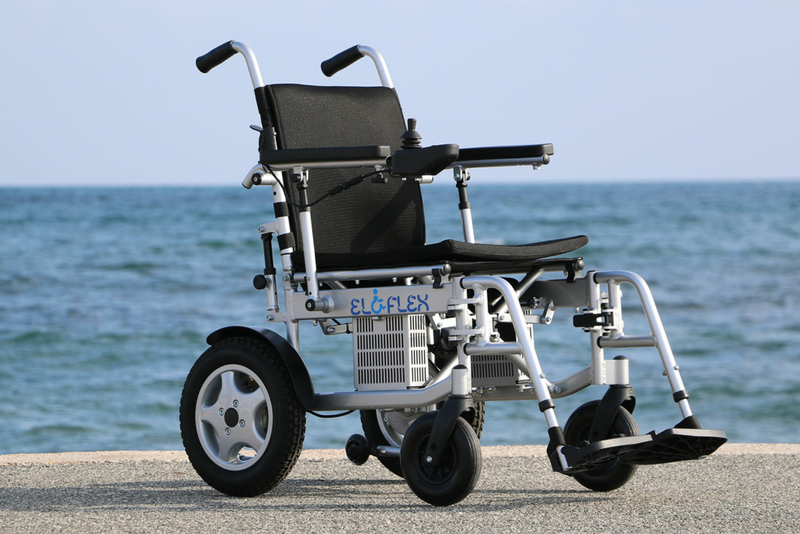 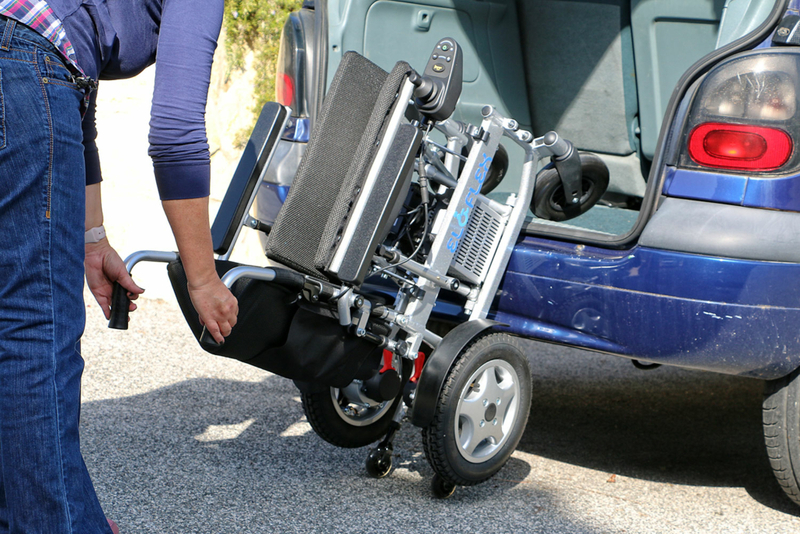 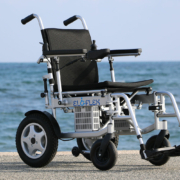 Model X is the only power wheelchair on the market designed specifically for seniors. 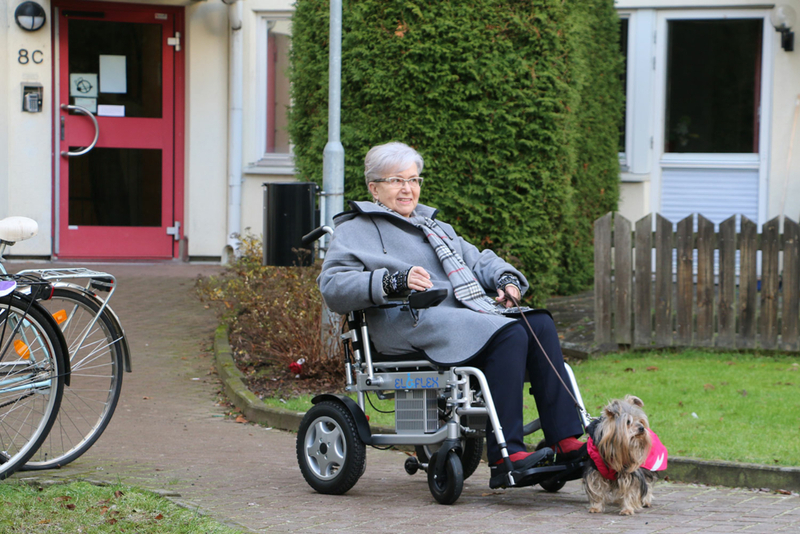 You asked and we delivered: Model X is the result of all the input we’ve received from our senior users in recent years. 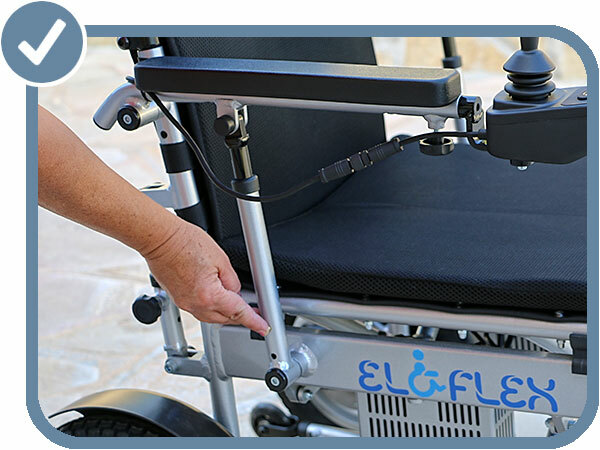 Designed specifically to meet the needs of this group, it is packed with all the handy features, functions and benefits you can imagine. 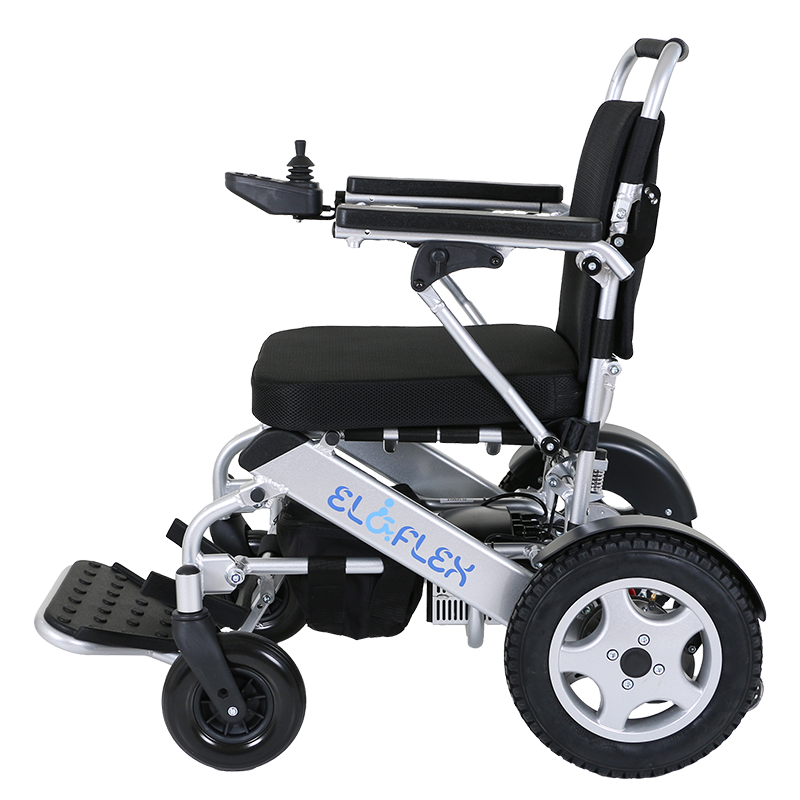 The basic construction is based on our well-proven and widely appreciated foldable cross-brace design. 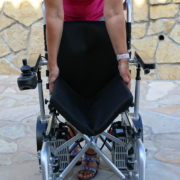 In just seconds, the chair simply folds together when you lift up the seat. 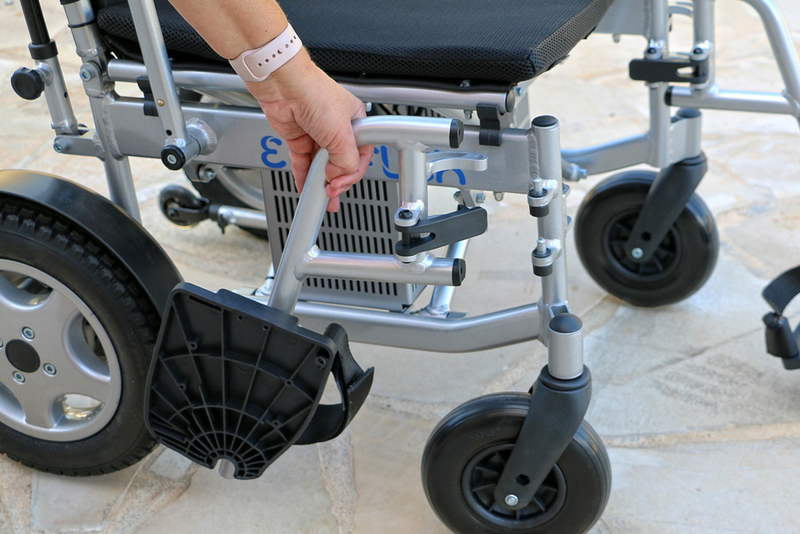 Model X is equipped with standard retractable foot plates. 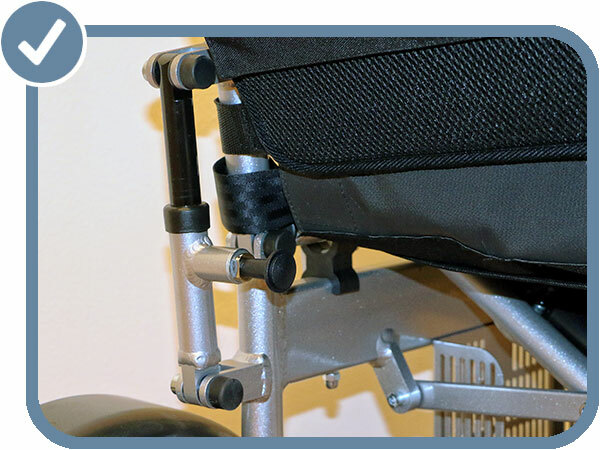 The footrests can also be folded out or simply removed, making it easier to get into or out of the chair. 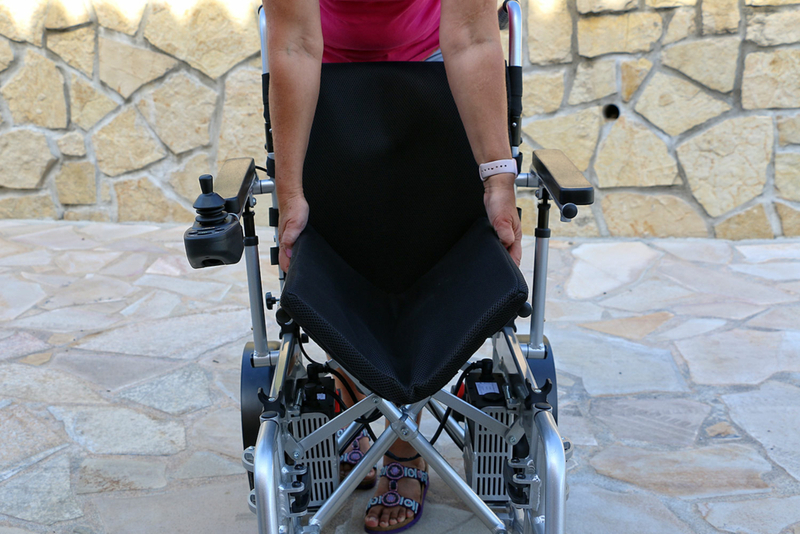 The backrest of model X can be adjusted in different angles, which is especially important for users who spend a lot of time in their chair. 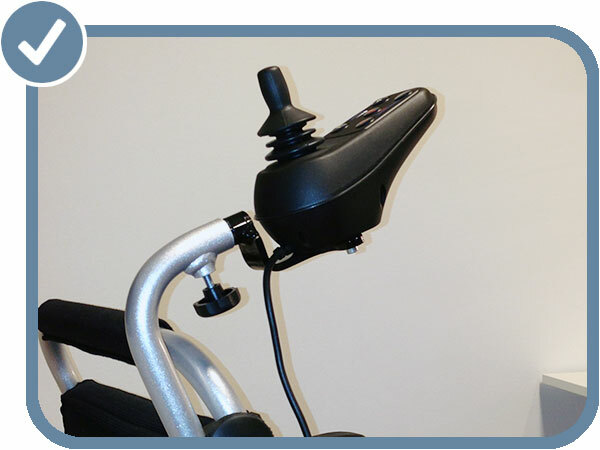 The armrests are also adjustable and can be mounted in two different heights. 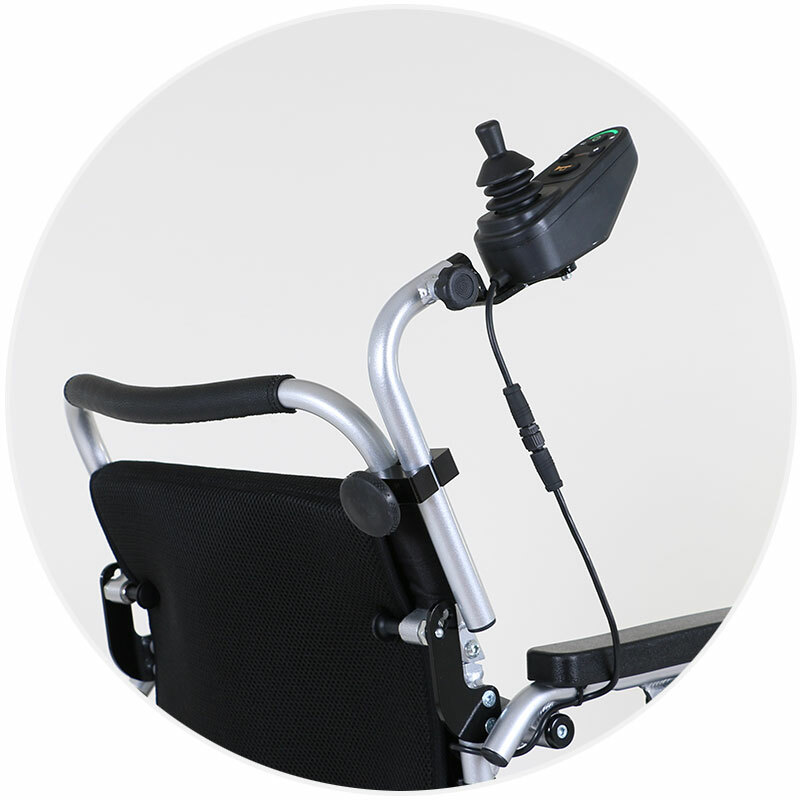 Although this model is suitable for a range of users, it is especially designed for our senior users. 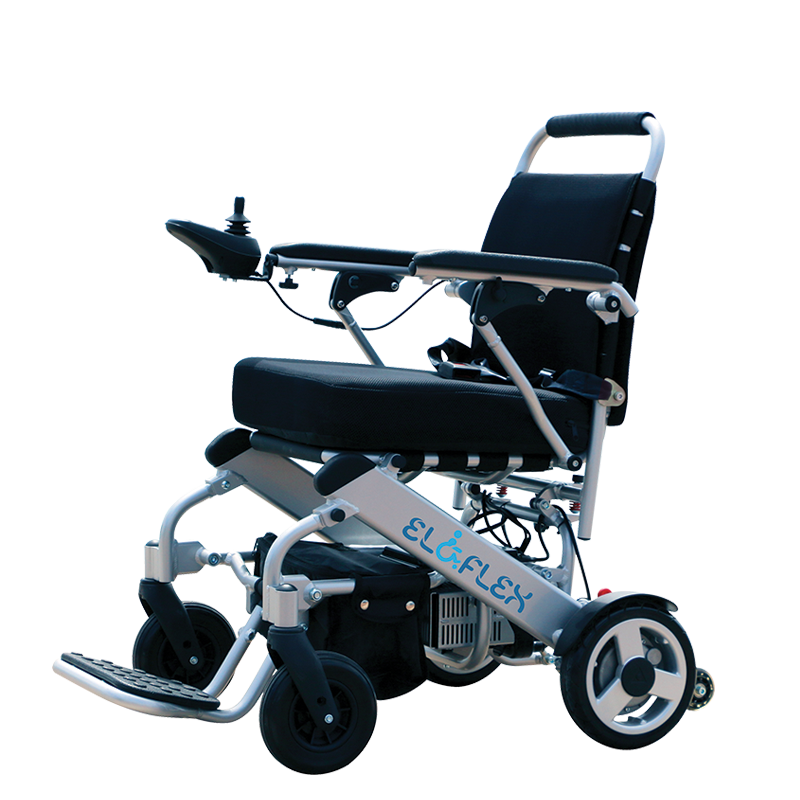 The chair is also particularly suitable for use in retirement homes and in healthcare. 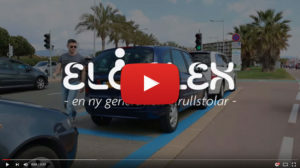 Model X has the added advantage that is can be fitted with one of our intuitive care control handles, allowing the person behind to drive effortlessly without a lot of heavy pushing. 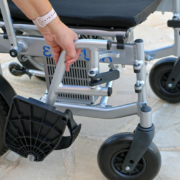 This model is equipped with classic foot plates that fold up individually. 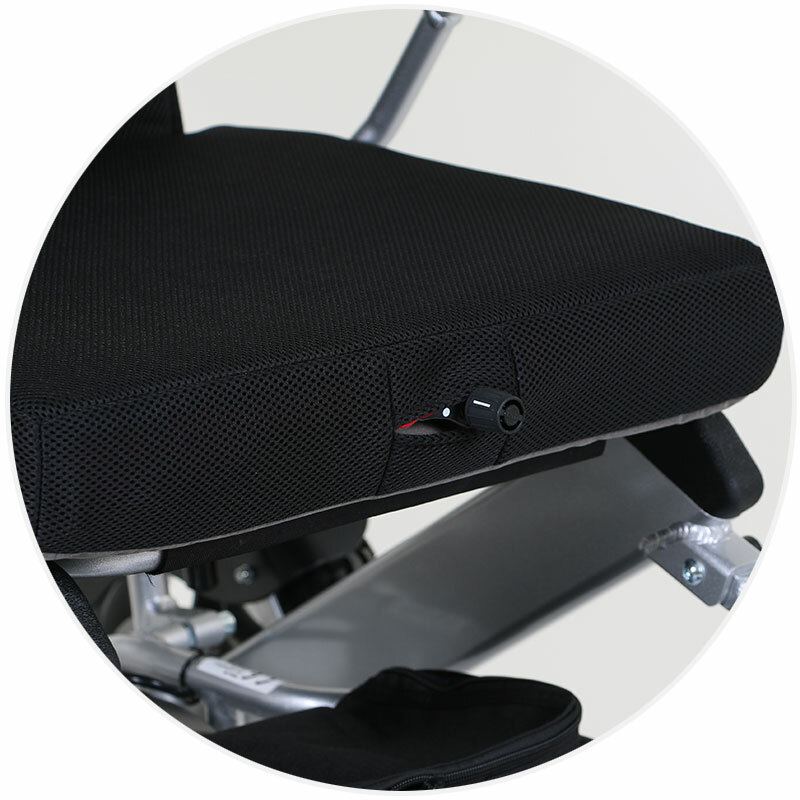 If you still need more space to get into and out of the chair, the footrests can also be folded aside or detached. 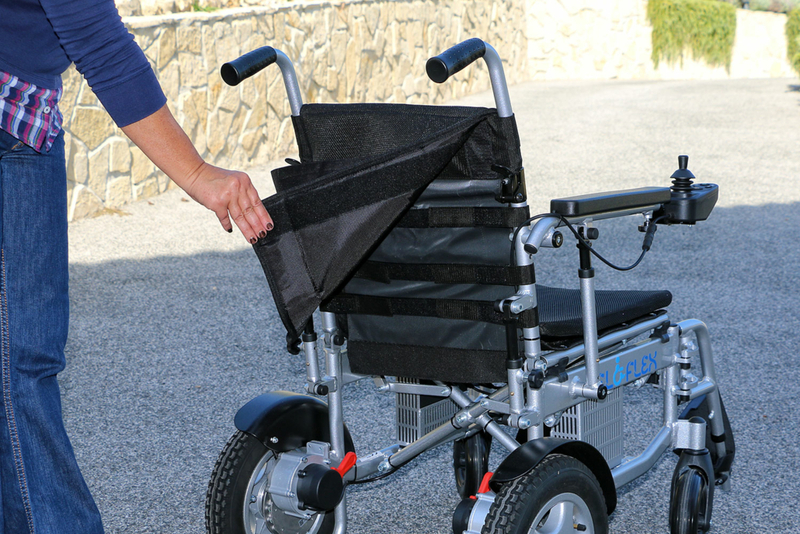 This also makes it ideal when sitting in the wheelchair at a dining table. 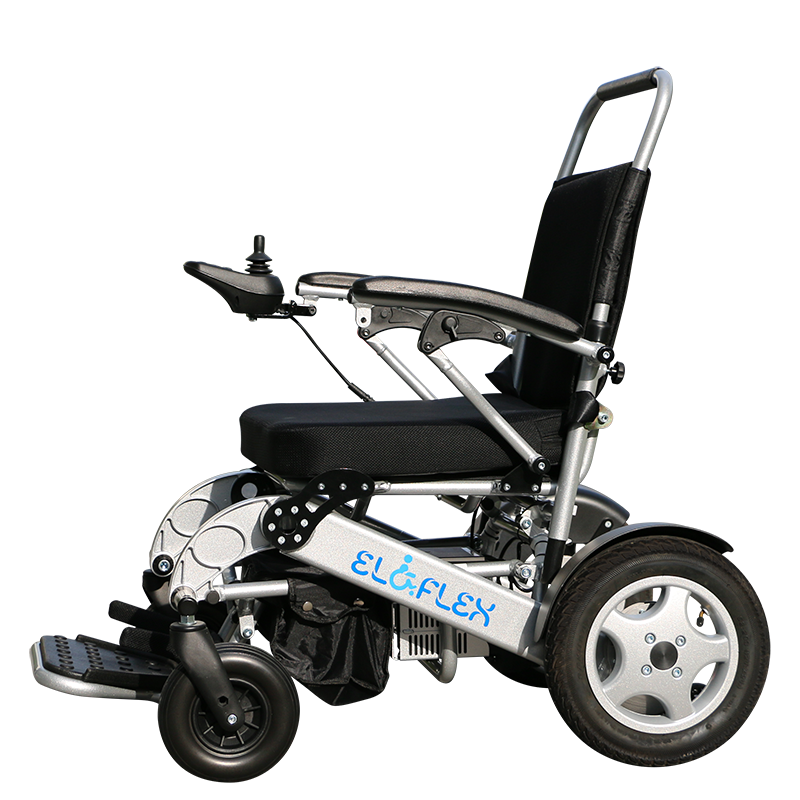 This model folds up easily in one smooth motion when you lift the seat. 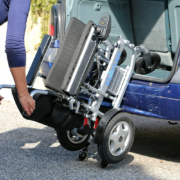 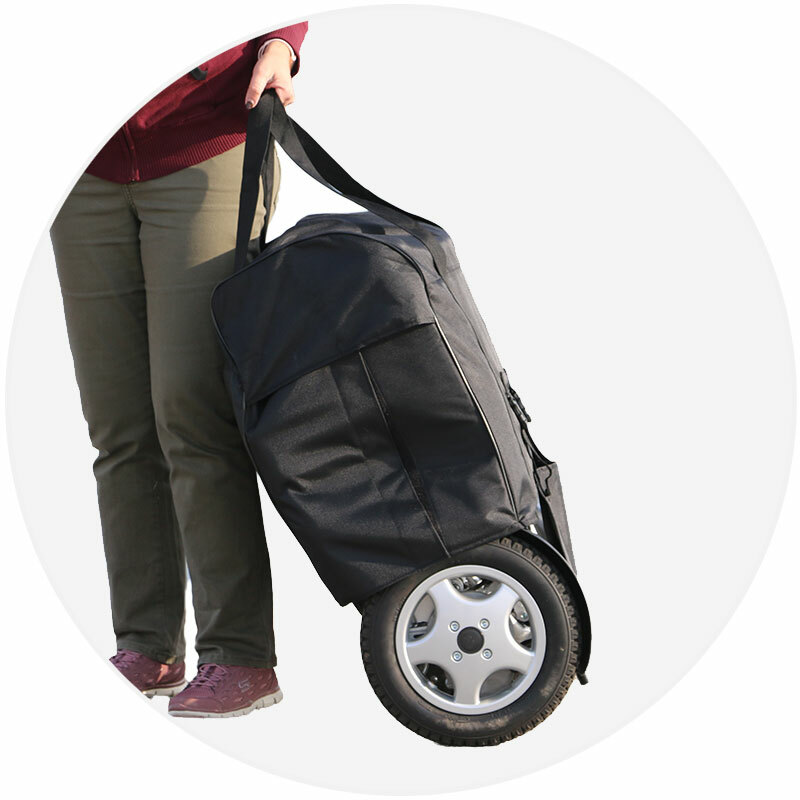 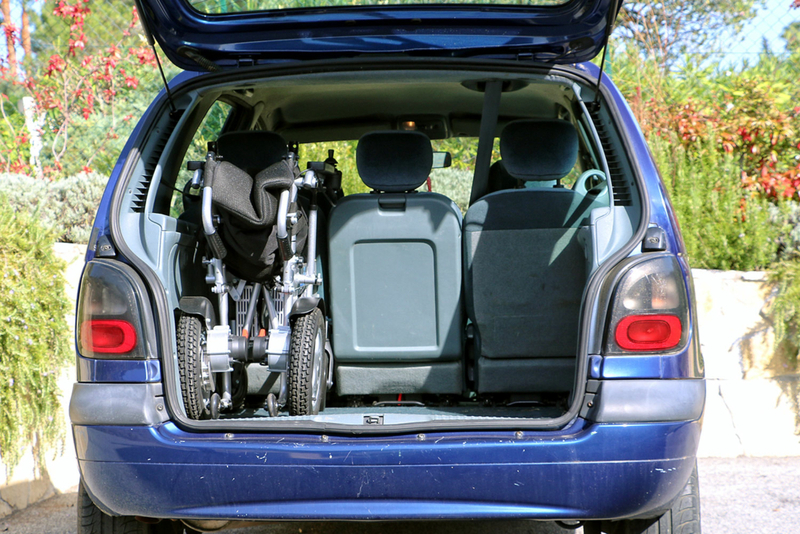 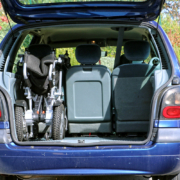 The backrest can also be folded, making the chair easier to load into an ordinary car. 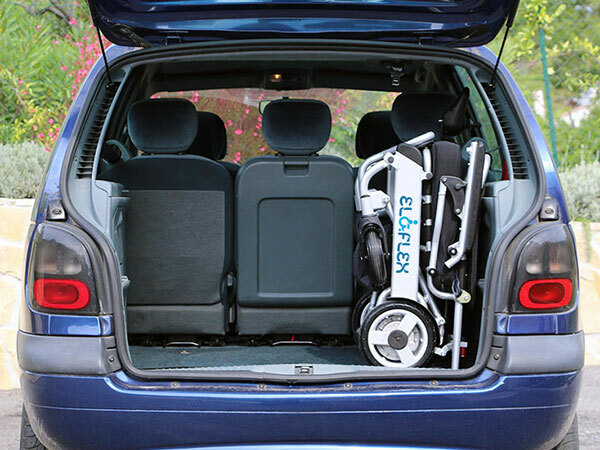 Our foldable model X also takes up little storage space when not in use. 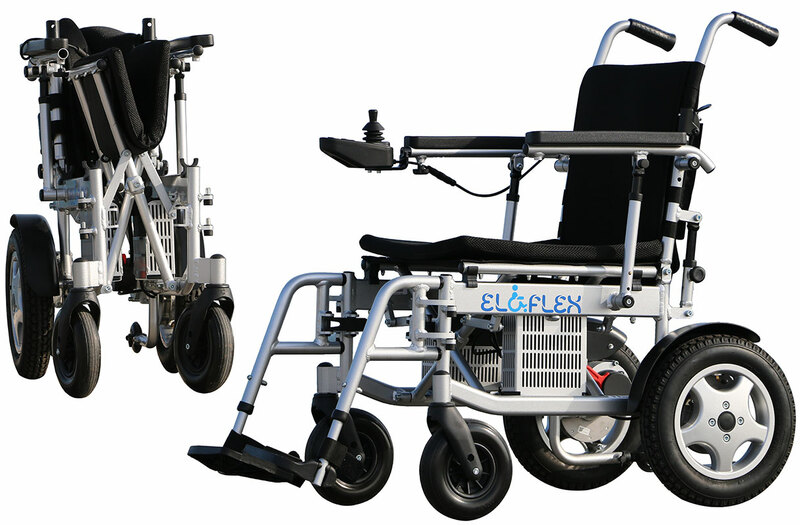 Two rechargeable lithium-ion batteries are included as standard on all Eloflex models. 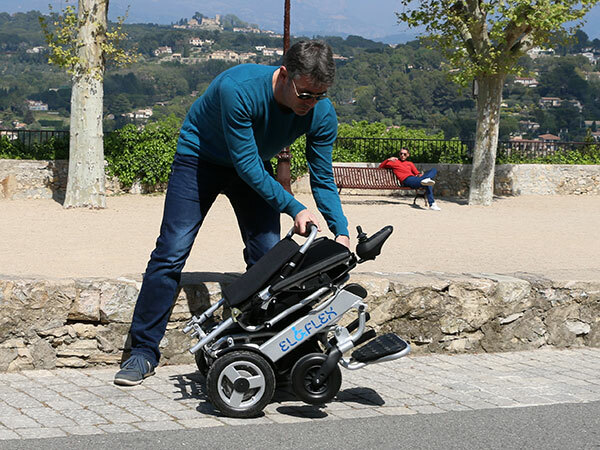 This gives you twice the power and range, allowing you to drive more than 25km on a single charge and securing more than 4,5 hours of efficient usage. 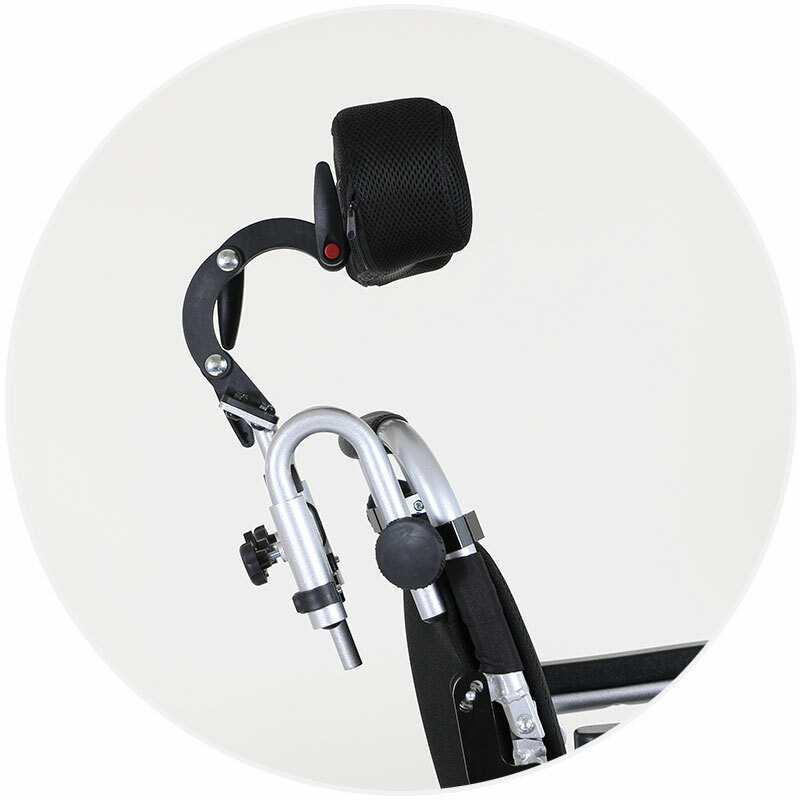 Located behind the backrest, these classic driving handles make it easy for a family member or caregiver to push the chair manually. 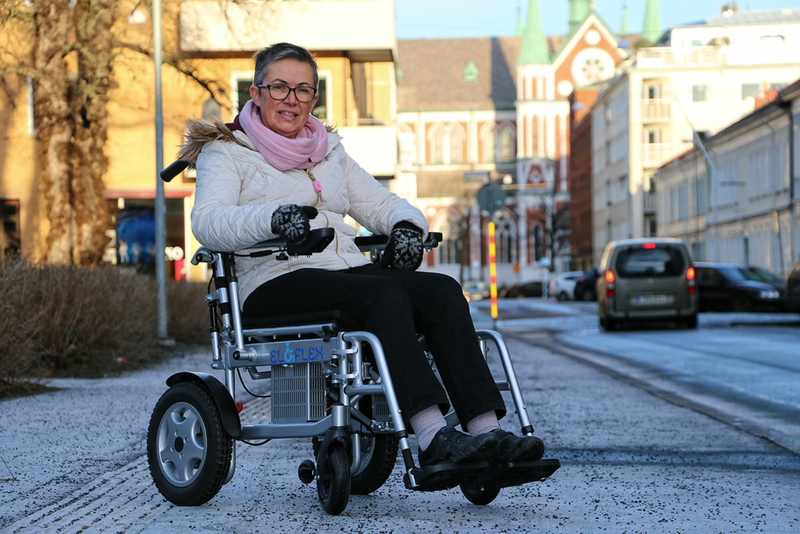 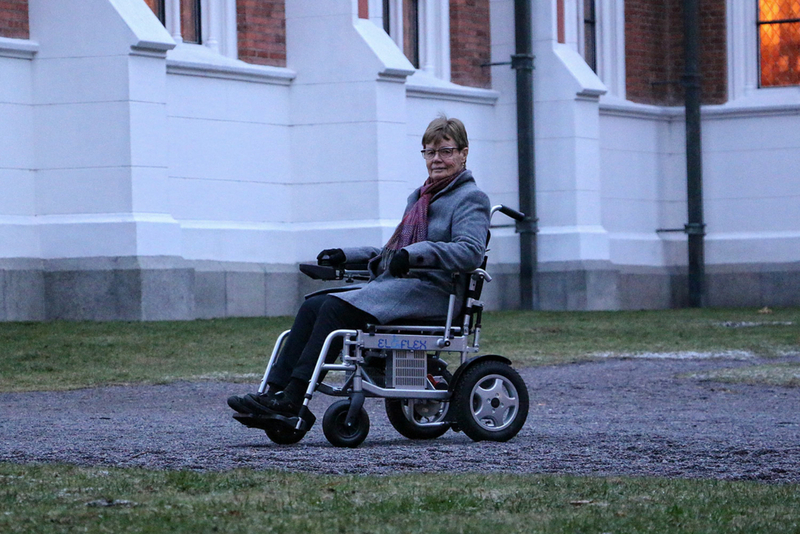 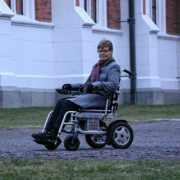 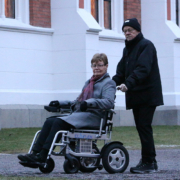 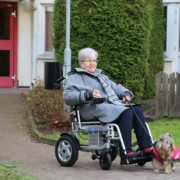 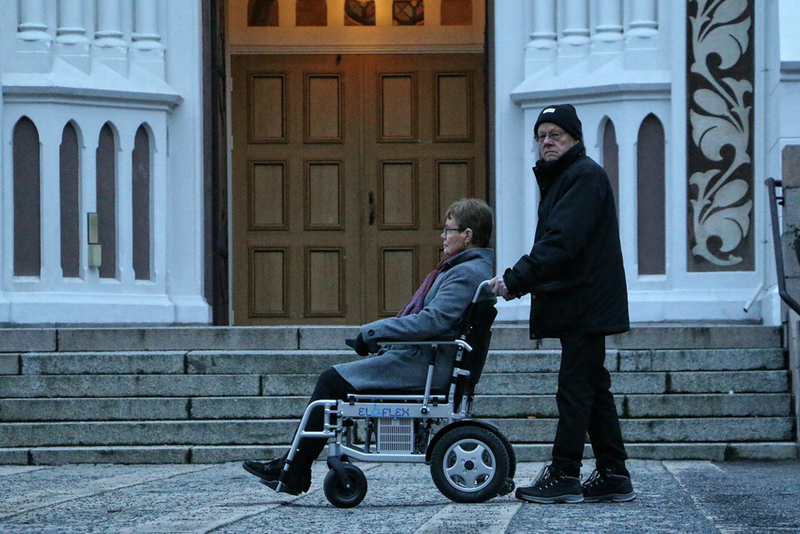 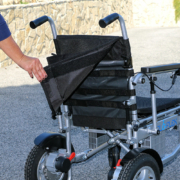 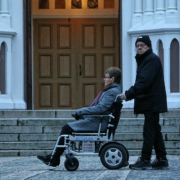 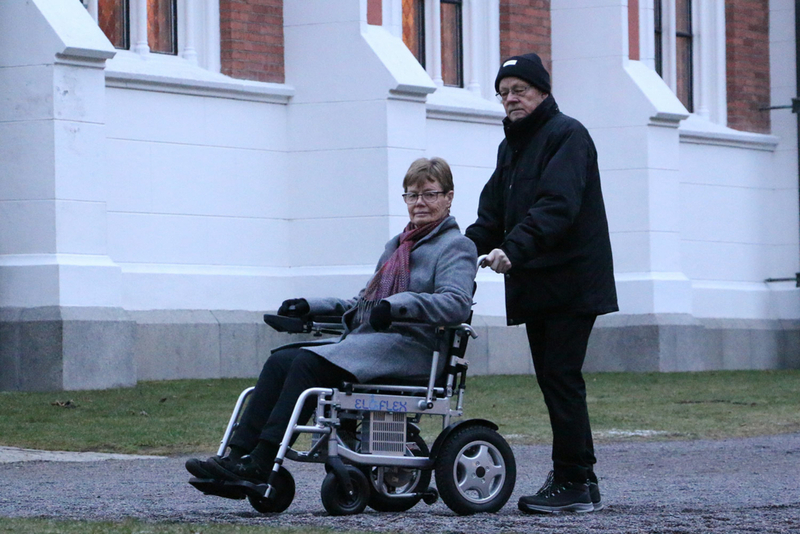 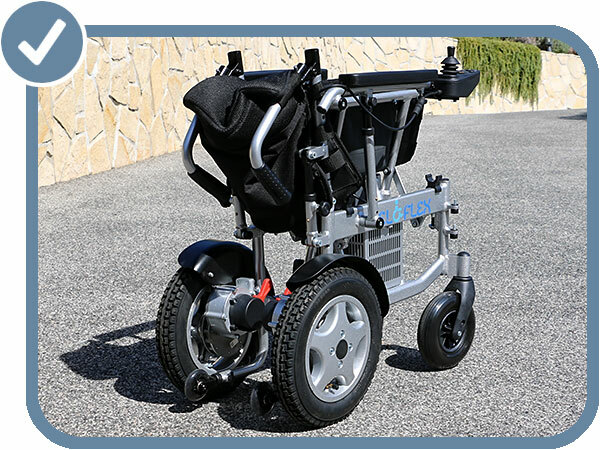 They also provide excellent support if users want to use their electric wheelchair as a walker for shorter distances. 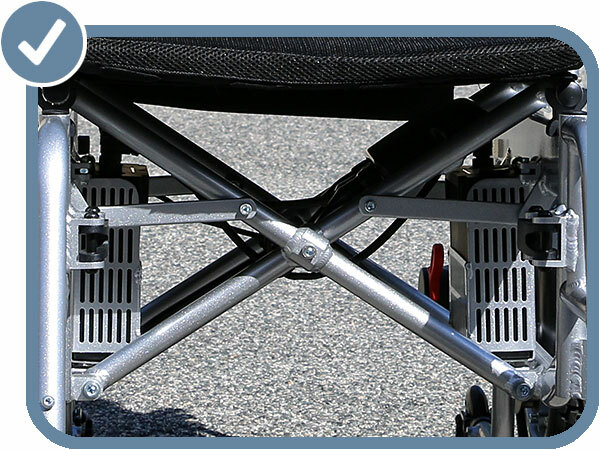 Model X is especially effective when equipped with one of our sensor-guided attendant control systems. 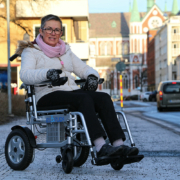 This way, the person behind the chair can drive it effortlessly, instead of the person sitting in it. 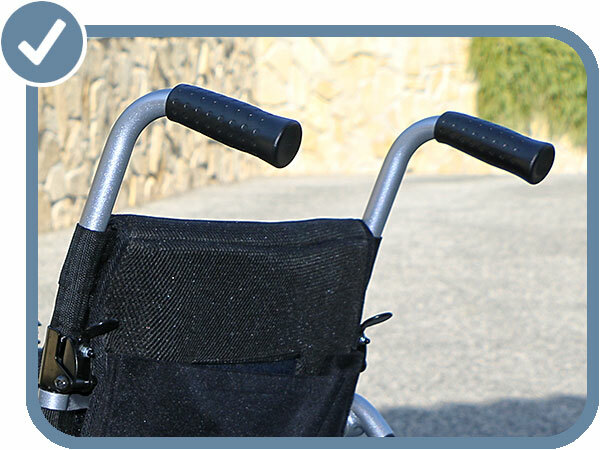 Read more about our attendant care management system here. 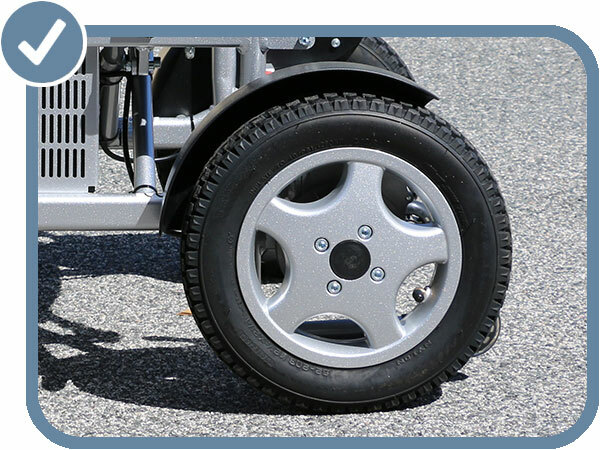 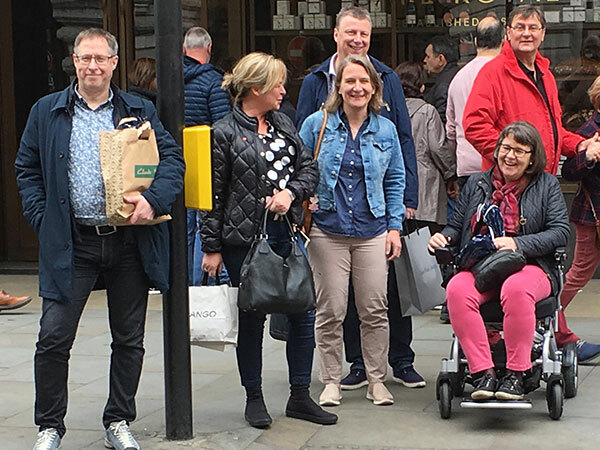 To ensure optimal driving comfort and just the right sitting position, our wheelchairs can be easily adjusted to fit your specific user needs. 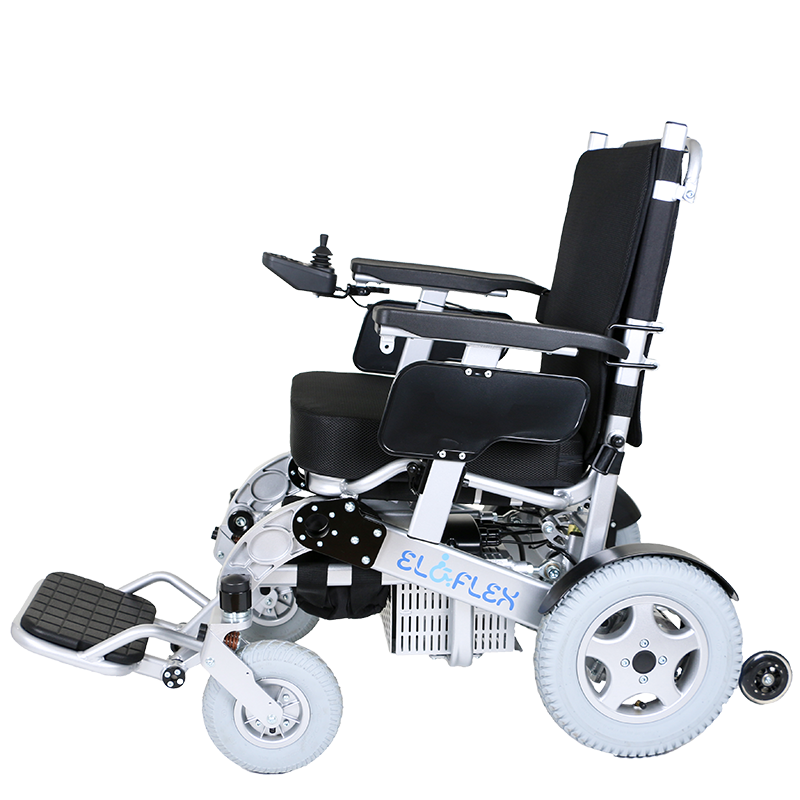 For example, the seat width can be adjusted in three different positions, the height of the foot plates is adjustable, the armrests can be mounted in two different heights, and the backrest can be tilted in three different angles. 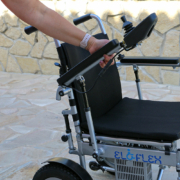 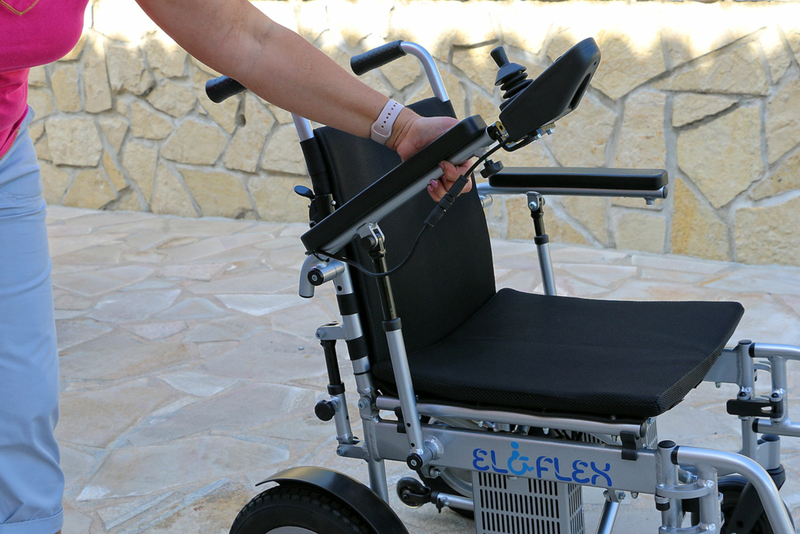 This amazing seat cushion, which fits all models, adds to the comfort of your Eloflex wheelchair. 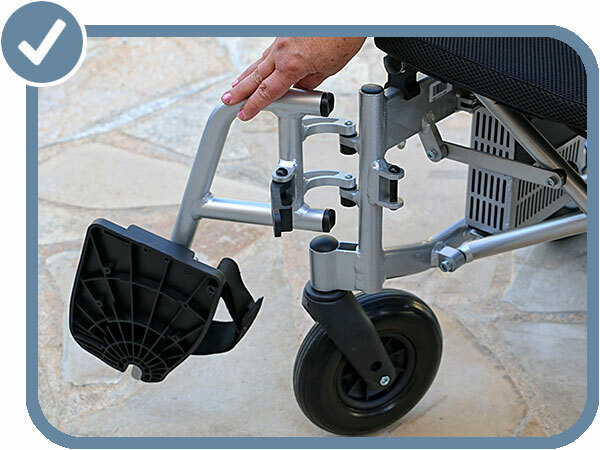 With the help of a smart air chamber, combined with viscoelastic foam and a valve, you can easily adjust the firmness of the pad. 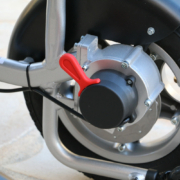 The air-filled single chamber canopy is regulated with a valve. 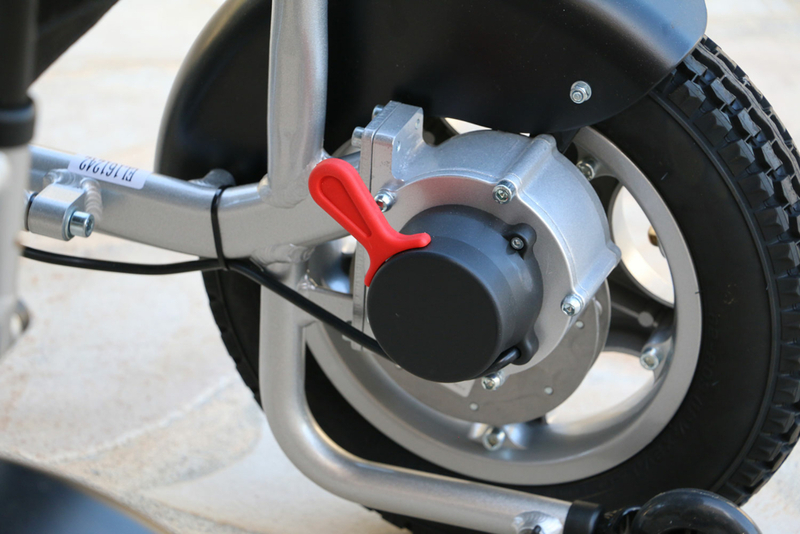 To make it even softer, just releasing a bit of air from the chamber.